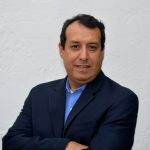 Phaneender is a part of the co-founding team at EigenRisk and was the Head of Product Development. Phaneender has 14+ years of experience in high performance computing, big data analytics, and software product development. Before co-founding EigenRisk, he led the big data and analytics practices at Wipro and Happiest Minds. Prior to this, Phaneender was head of product development at Aon Benfield Analytics. His experience also includes Oracle Corp, as well as the startup phases of MindTree and Manthan Systems. 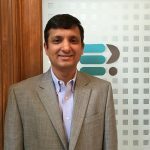 Phaneender has an MBA in Corporate Strategy and IT from IIM Bangalore, and a Bachelors in Computer Science & Engineering from IIT Delhi.